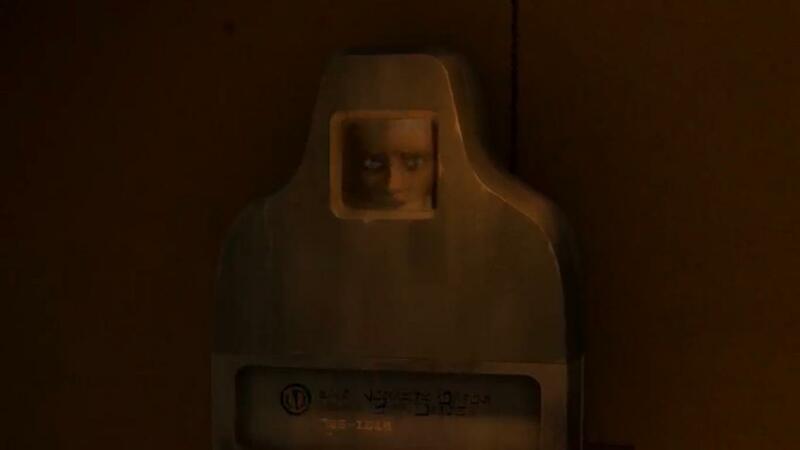 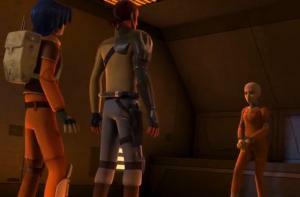 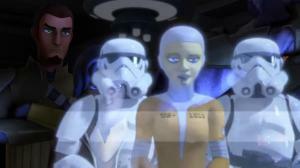 In last week’s episode of “Star Wars Rebels” (“Rise of the Old Masters”), we see the members of the crew of the Ghost receiving a communique sent out that Jedi Master Luminara Unduli is not only still alive, but that she is being held at a specific detention facility of the Empire (“One of the Republic’s greatest peacekeepers, Jedi Master Luminara Unduli, is alive. 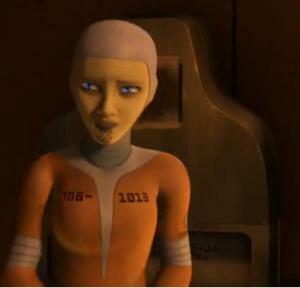 She has been imprisoned unlawfully somewhere in the Stygeon system.”). Avid watchers of other Star Wars television shows will remember Master Unduli from her appearances both on “Star Wars: Clone Wars” as well as “Star Wars: The Clone Wars” and the viewer, as well as Kanan (who describes her as “a great Jedi Master brave, compassionate, disciplined”) are curious as to what had happened to her (“There’ve always been rumors she survived the Clone Wars, but they never came with a specific location before”). When we see the hologram communique, we also see her being led in chains, so there’s a real excitement that she’s still alive, which would be a huge boon to Kanan, Ezra, and the rebels, in general. 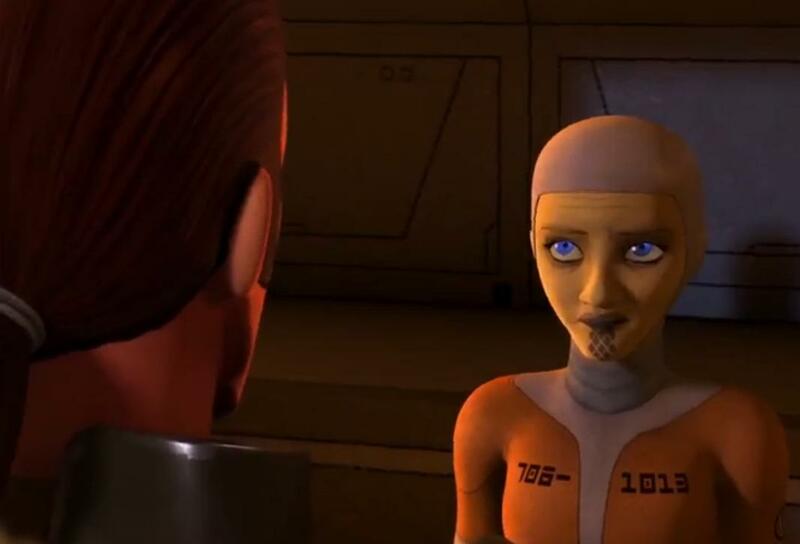 In the end, we are left not only with a further sense of despair relating to the existence of scattered remaining Jedi masters out there for Kanan (and the rest of the crew of the Ghost), but we also get a sense of how nefarious the Inquisitor is (to be explored soon). Kanan Reveals Himself to be a Jedi [Star Wars Rebels: “Spark of Rebellion”] A Proper Introduction to the Inquisitor New Inquisitors Introduced: There Is More Than Just One How Does “Star Wars: Droids” Fit with “Star Wars Rebels”?